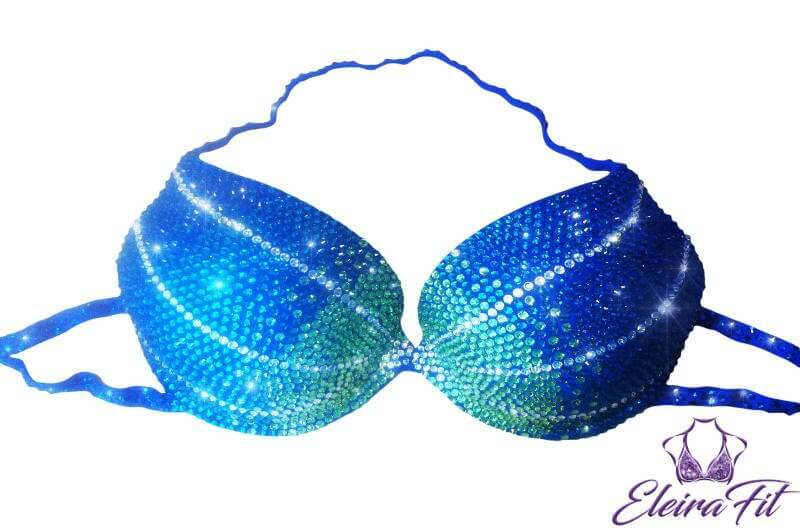 This classy fitness bikini suit is made of holographic fabric, and beautifully accented with over 2,000 of blue & clear rhinestones. The bikini top features push-up underwire round cups to lift, and shape the cleavage. 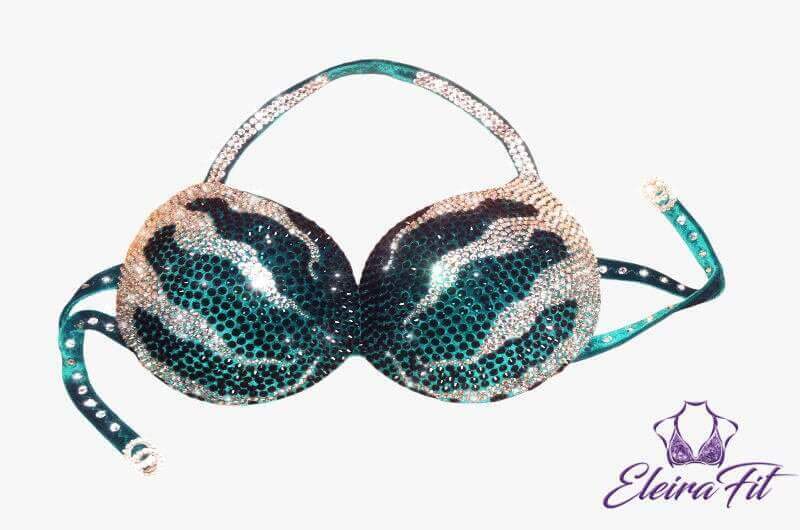 This fitness bikini bottom has matching rhinestones, and straight front fit, flattering to both novice and professional competitors. The back is Cheeky style coverage. The top straps glitter with clear rhinestones. Handling time is 2-3 business days.